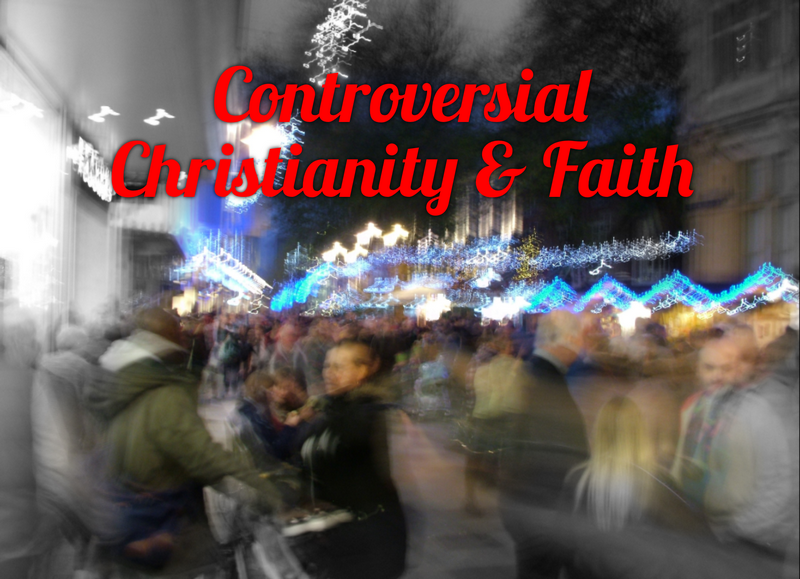 Controversial Christianity & Faith: Time To Make.... a ...... DECISION?? Time To Make.... a ...... DECISION?? Are you double minded? Wavering between two opinions, or indeed wavering between two lifestyles? How many of us compartmentalise our Christian faith? How many of us are different with one group of people, as we were with another? How many of us change our personality, our accents, our whole persona depending on the person we are with? How many of us really live out our Christian faith everywhere we go, regardless of who is around us, and in an open and honest, even innocent way? My friend told me recently that he read that most of us are only truly ourselves for 15 minutes a day, the rest of the time we hide behind carefully cultivated ‘masks’ that we present to the world, of how we wish to be seen and perceived by others. I understand this only too well. I struggled with being me, I would rather have been anyone else but me at one time. It’s probably why I am good at doing accents, and can play convincingly another kind of person when I need to. I’d make a good actor! Possibly. But what I see now is that hiding behind various masks, being different with different people, becomes wearisome, becomes tedious and ultimately just cannot be the abundant life God wants for us. It doesn’t make me happy anyway. I find now, that what makes me happy is simply living out my faith in a practical and reasonable fashion, and just being me. Not trying to be cool, not trying to be smart, not trying to be ‘Mr Popular’ or anything like that, just me being me, no more no less. I’m beginning to like me, and I want other people to like me, too, because God evidently does. Isn’t that a kind of freedom, not having to put on airs and graces with other people, or with God either? The decision to live completely for Jesus, right now, whatever you are doing, wherever you live, whatever circumstances God has placed you in. If you know God has a call on your life, then you need to get completely in step with His will so you can begin to find out the plan He has for your life. The closer I have got to God, the more I realise how sick, unjust, disturbed and deeply unbalanced this world is. You don’t think so? Still have illusions about how nice and fair, how balanced and generally good the world is? I love the honesty in your post. If we try to be all different kinds of people to all different kinds of people, there is a danger of forgetting who we really are. I have to admit that song called 'Just be yourself' is coming into my mind right now, and that is who I prefer to be, whether people like me or not. There are areas, because I was brought up in an area where there were some pretty tough people (although everyone looked after one another) that I was always able to answer people with words. However, since I have become born again of God's Spirit I am on a learning journey and am learning when to speak and when to refrain from speaking. I know for certain that I would not swap the life that I have now in the Lord, no matter how many trials I go through, for the life that I had before. Keep traveling the journey. Hope you have joined a writers' circle, I think you are quite a good writer from what you showed me. I am thinking of going back to one. Good Post! The Bible is quite clear on what our priorities should be. There is no wiggle room. A decision is required of all believers and unbelievers, to live our life according to the God given hierarchy of priorities, God, Spouse, Family. or not. Thanks Keith. It's good to connect with Christians far and wide. This was very encouraging to me, Tim. Thanks for sharing this. I never really had problems being me but I think other people did and have tried to change me in the past and I let them because I started to believe their perception of me must be me then, but In Jesus Christ is my life took God revealing that to me for me to understand who I really am, I'm still growing in understanding this though. Whenever I see the scripture about love not the world or the things of the world, those who love the world the love of the Father is not in them, meaning if you love the world or the things of it then you don't really love God, that scripture makes me think every time. I think to myself, am I loving this world or the things of it? I hope not to ever and for strength to resist the temptation to get entangled with the cares of the world. God bless you Tim.